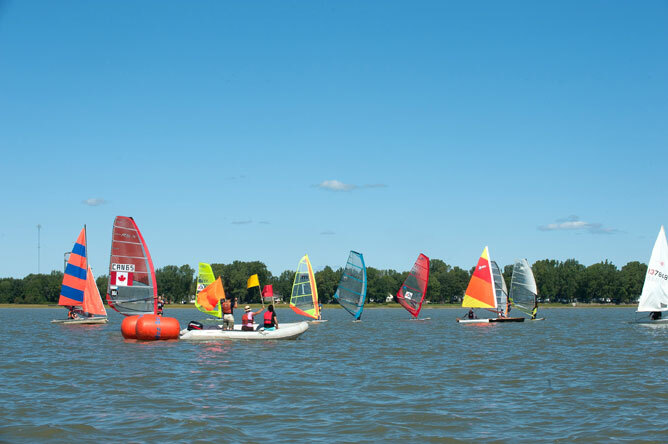 The Club Multivoile 4 Saisons is just 10 minutes from Trois-Rivières, in the Pointe-du-Lac area. 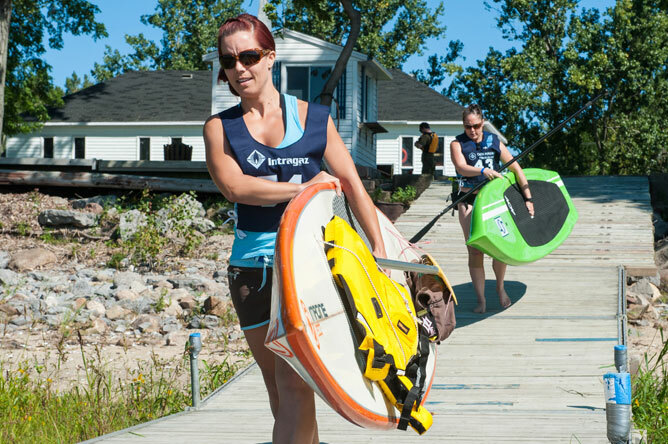 This club offers a wide range of activities that facilitate access to beautiful Lake Saint-Pierre. 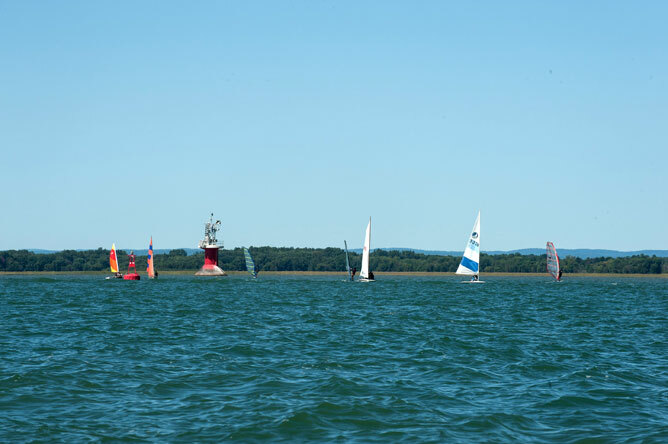 This sailing school has been around for 25 years. 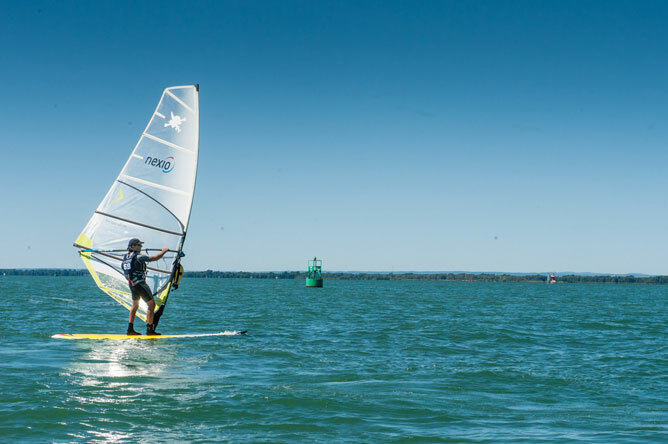 In the summer, it offers catamaran, centreboard, windsurf, stand up paddleboard and kayak lessons, as well as sailing camps for kids. 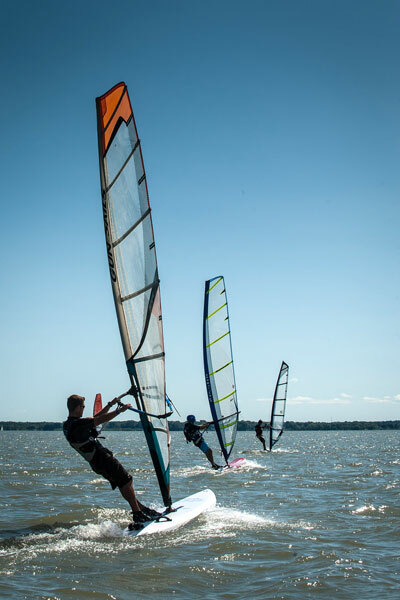 In the winter, the club offers kitesurfing, parasailing and kitewing courses. 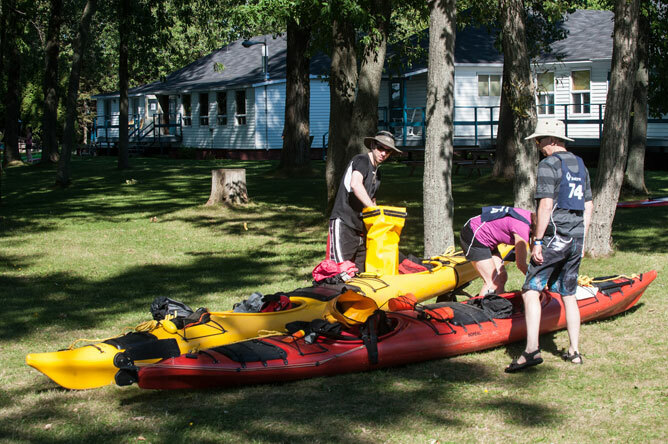 Club members can keep their boats here throughout the summer season, and people can rent equipment for a variety of nautical activities from the Club. The Club also rents out cabins with a unique view of the lake for longer stays. 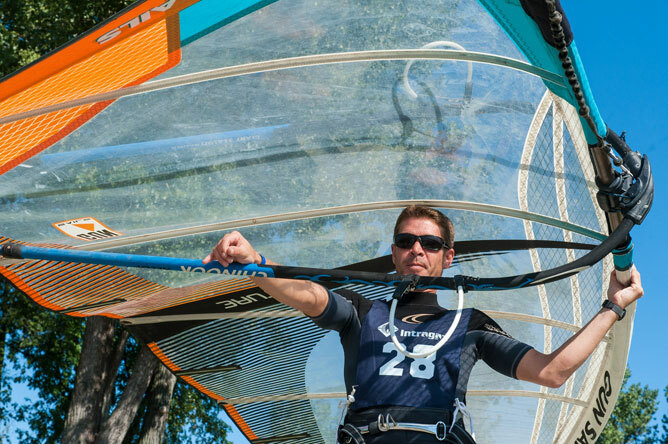 The Club hosts a variety of events, such as the Kona Windsurfing World Championship and La descente de la route bleue, an event for non-motorized watercraft. 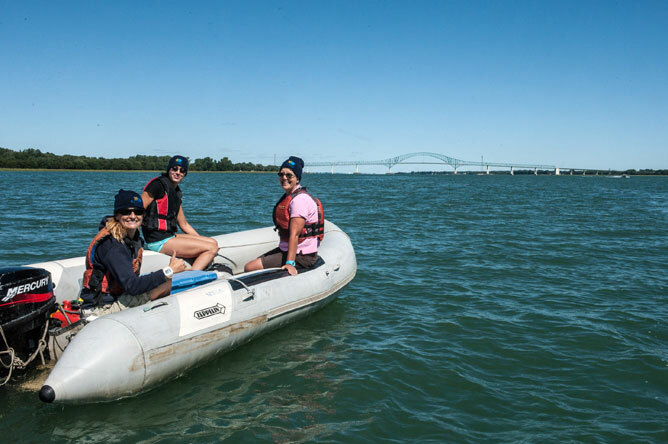 La descente de la route bleue brings together practitioners of a variety of non-motorized water sports for a 20-30 kilometre excursion along the St. Lawrence in a safe and friendly atmosphere. Participants in the event are mostly from Quebec and Ontario. 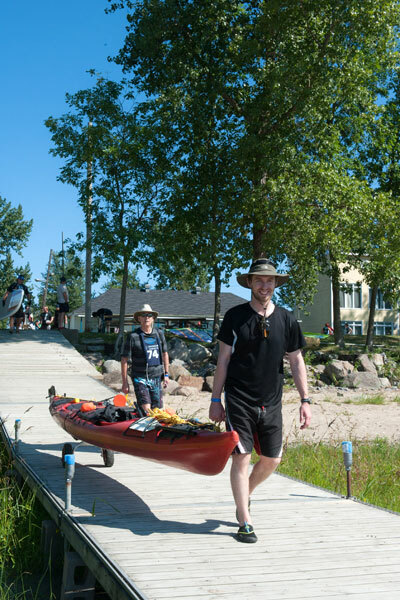 A great deal of work goes into organizing La descente de la route bleue, and volunteers from the Club play an instrumental role in ensuring the event is a success. 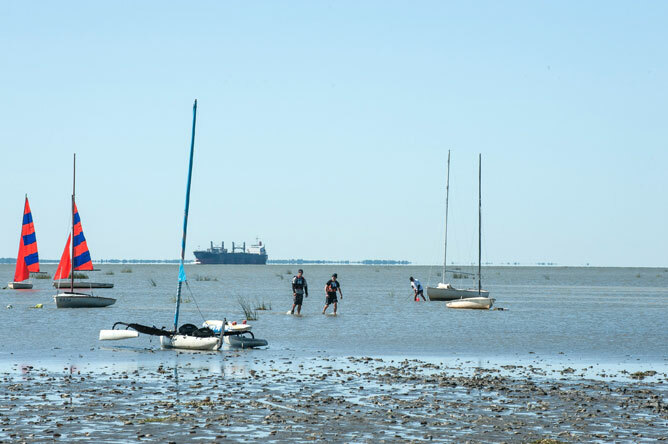 Most of the watercraft participating in the event are sail-powered, but some participants prefer to use a kayak or canoe. 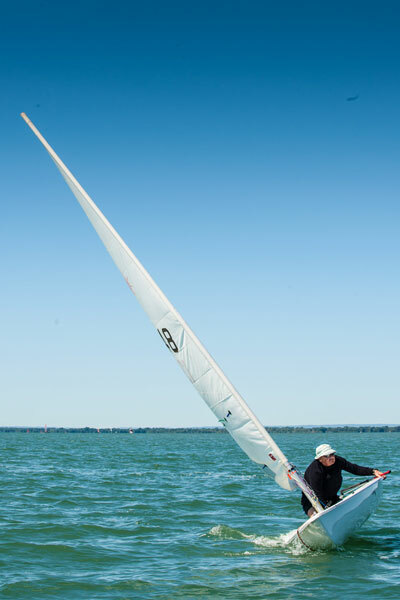 Dominique Vallée, head instructor at the sailing school and coach of the Club's competitive team, is in charge of preparing and organizing events. 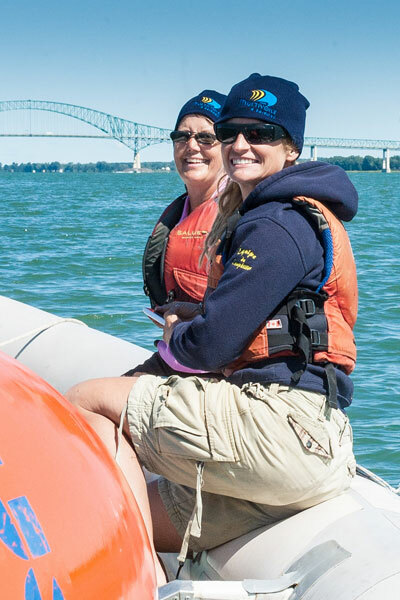 She oversees staff and coordinates the logistics of the activities offered by the sailing club. 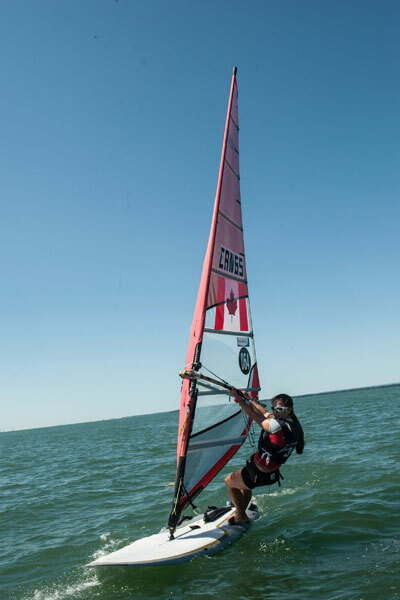 Dominique is a Canadian RS:X Olympic Class windsurfing champion and has proven herself in many competitions. In 2007, she took home the gold medal at the Pan American Games in Rio de Janeiro. Dominique is passionate about all of the activities she participates in at the Club. 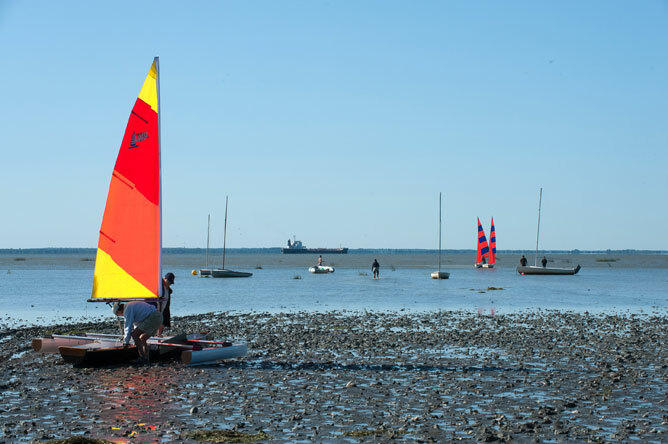 She loves to see the joy in children's faces as they discover the world of sailing for the first time at the Club's summer camps. When she teaches courses for adults, she enjoys playing an active role in helping them learn a new sport. She has noticed that the adults often seem even more enthusiastic than the kids! Dominique Vallée (foreground) at the start of the event. 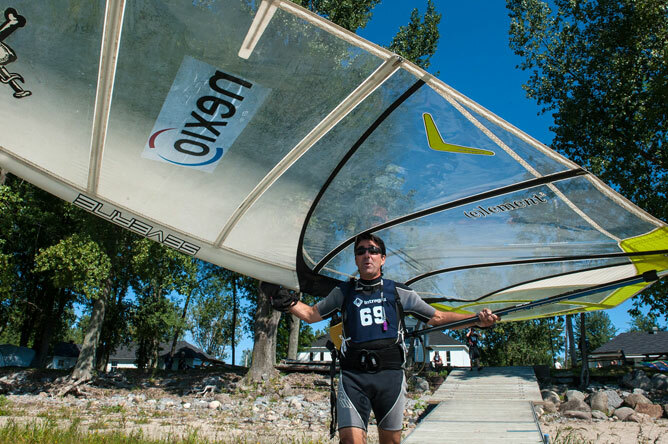 La descente de la route bleue starts on Lake Saint-Pierre, in front of the Club Multivoile in the Pointe-du-Lac area. 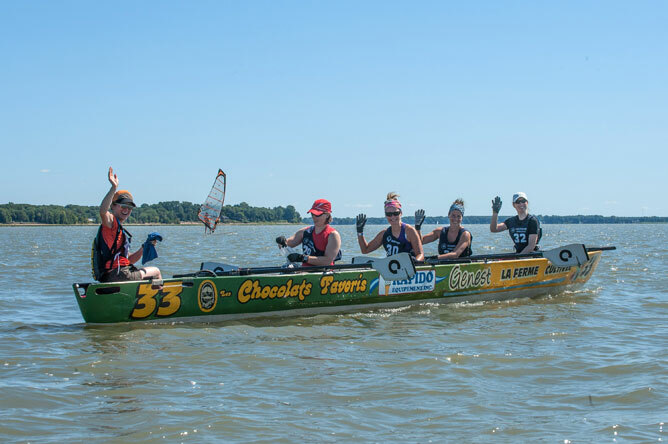 Participants race towards the finish line at Trois-Rivières Harbourfront Park. 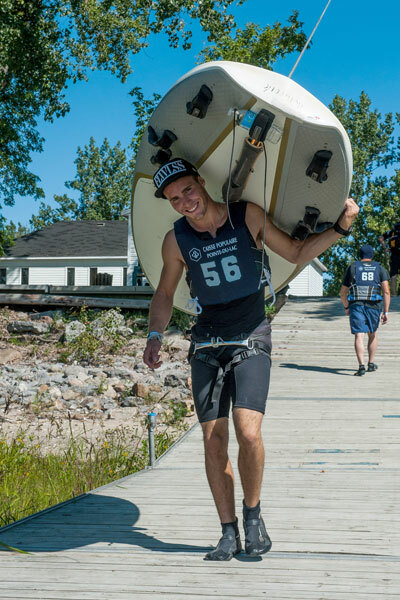 Dominique Vallée, sport and event manager at the Club, says the event gives participants an opportunity to challenge themselves and expand their horizons. Most participants enjoy the event immensely and can't wait to do it again.